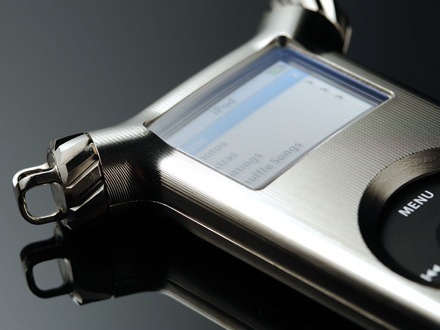 You might think a case made of titanium for your iPod nano seems silly until it takes a bullet for you in your next gun fight, and I’m sure that’s what the makers of the FLACTRON Re-nano were thinking, too. 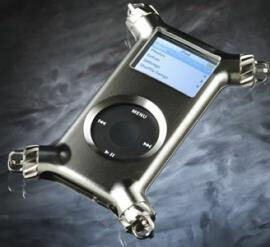 This case fits your iPod nano snugly and safely protecting it from any harm due to dropping, throwing, stomping or medium sized explosions. The controls are still exposed along with the screen and ports so normal operation is possible, and pretty much negates the protection features, but it looks so clean and shiny.